Exclusive use of House in Courtyard Setting, Pool and 7 Acre Grounds. 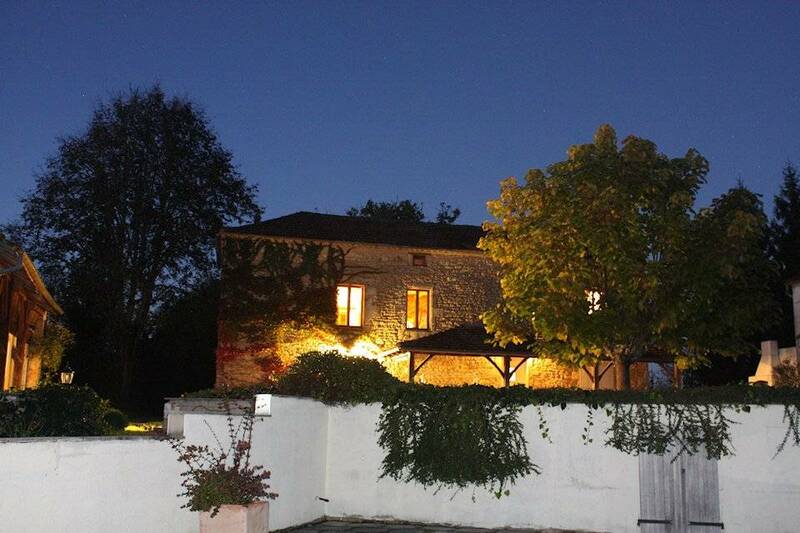 Spacious accommodation for up to 6 people in the middle of the French countryside. Main House, and Pool set in 7 acres. Ideal for enjoying the sun in South West France, with plenty of towns and villages nearby to provide places to eat, drink and find entertainment. The house is set in 7 acres of fields and woods. The countryside is rolling hills and vineyards. The Dordogne is 25 miles to the north, and the Lot River, 5 miles to the south. The Main House, Summer House and large barn are set around a South facing courtyard. The 5 x 10 metre pool is set a couple of metres lower than the south side of the courtyard. The courtyard and pool are both fenced off with access via gates. There are 2 bedrooms with double beds and a third with two single beds, all with ensuite bathrooms, in the Main House. The main living room and open plan kitchen are on the first floor with views over the valley to the south, and fields to the North. The living room has TV, and a surround sound DVD system. There are 3 bedrooms on the ground floor opening onto the courtyard or the patio on the north side. There is wifi internet coverage throughout most of the property, with the unlimited 9 MBS internet connection. We are happy for guests to bring their small four legged family members with them, but as we have to take into consideration the requirements of all of our guests and our neighbours, please check with us before booking to make sure it is OK to bring them. The Lot and Dordogne rivers nearby provide a large selection of river based activities such as cruising, canoeing, swimming and fishing. One of the paths to Santiago de Compostela passes a few hundred metres away on the Grand Randonnée 652 trail which runs from Rocamadour to Poujols. In addition, you will find outdoor adventure parks, horseriding, walking trails, tennis, paragliding, parachuting, go-karting etc. All around there are superb road and track cycling routes and as well as the Grand Randonnée, and the Velo Route du Lot, which runs along the Lot River, 10km away. From bands of all descriptions playing in bars and at village fêtes, to classical music of the highest professional standard, you will find it all nearby during the Summer time. The village fêtes and carnivals in the Summer provide a lot of outdoor entertainment and in addition, there are cinemas, theatres, wine-tasting, village markets etc. There are bars with food, bars with views, bars by lakes, and bars with music etc...and always bars with coffee! There is a large selection of restaurants nearby providing food for all tastes. It is often local food (duck centric! ), but not always, and there is a lot of variety. Within walking distance, down the road is Chez Jeanne, in Pomarède. It is featured in a documentary by Australian author, Mary Moody. We are in the 'Cahors' wine region, and there are vineyards all around. Great for wine-tasting, wine drinking, buying wine, beautiful autumn leaves, and cycling where the cars don't go! The Cahors Bureau de Tourisme have a dedicated wine tasting centre, and there is also the lovely (cool) Cave des Vignerons in Puy L'Eveque Grand Rue. They will let you taste lots of Cahors wines from the local vines. We are in a region that was settled in Prehistoric times, and there are many caves, some nearby, that show evidence of the early inhabitants. The famous caves of Pech Merle with their paintings, are just 75 minutes away, and those at Cougnac only 30 minutes away. The 'must see' Gouffre de Padirac is 90 minutes away. Just 20 minutes down the road is the fantastic Chateau de Bonaguil, a huge medieval castle that you can walk all round. 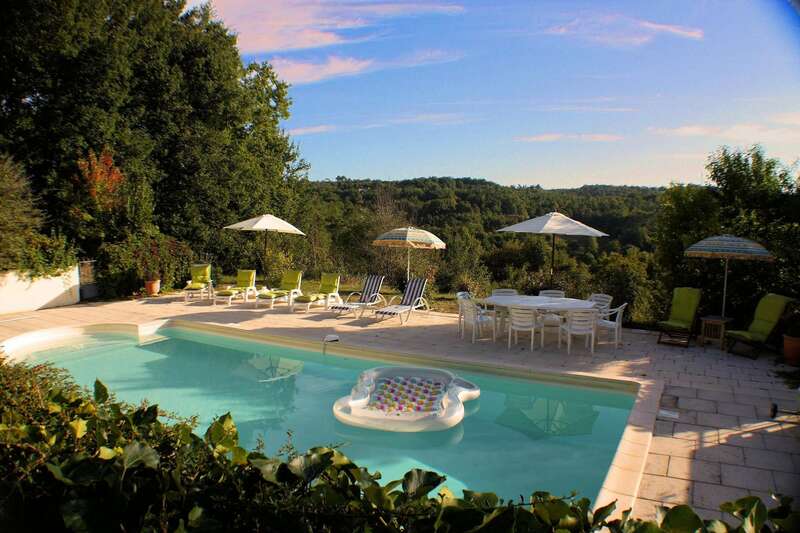 There are other exceptional sites of interest around, including: the Pont Valentré in Cahors, Rocamadour, St Cyr la Popie, the Gardens at Marqueyssac, Sarlat le Caneda etc. We are in a sparsely populated area with little light or particle pollution from major cities. Bring some binoculars and learn to recognise the constellations or take a look at our nearest galaxy, Andromeda. There are some great apps that help, or learn how to use a planisphere. There is also an observatory 20 minutes away, the Observatoire de Lagrolére.